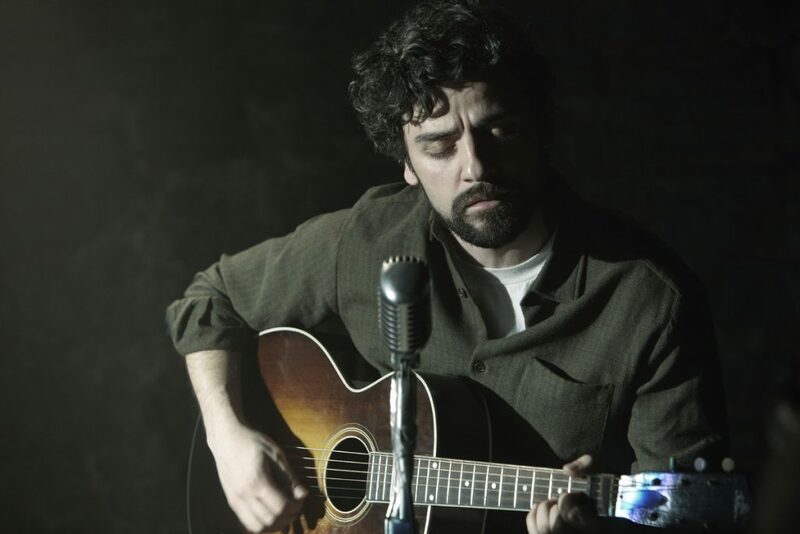 To many, the best and most purely Coen of all Coen Brothers movies. It’s a ransom bag full of every one of their obsessions, visually and story wise: it contains the exact right mixture of black humor and random violence; it’s predicated, like many of their movies, but this one much more so, on a crime gone horribly wrong; it’s the epitome of their typical slide-rule filmmaking, with precise, classroom-worthy moves and compositions; and it has a merciless stranglehold on place – a frigid, snow-packed landscape populated with characters so specific they’re funny for being so real. And the two stakes that hold the whole tent in place are two of the most well-crafted characters in their entire body of work. William H. Macy is Jerry Lundegaard, the world’s most pathetic man having the worst week of his life, not unlike, say, Larry Gopnik in A Serious Man, only Jerry’s Job-like circumstances are entirely, stupidly self-inflicted. His attempt to salvage a dire financial situation with the aid of dubious criminal elements teaches him the hard way that his skill set in such matters might be limited to pushing TruCoat, and we watch with cringing glee as he scrambles around for any kind of rope out of his self-made quagmire. 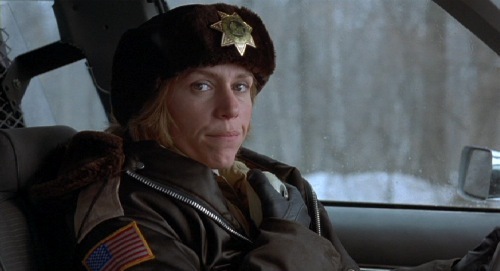 Meanwhile, Frances McDormand, as sharp, wide-eyed, and very pregnant police chief Marge Gunderson, slowly registers for the first time the depths of depravity some men can go on such a beautiful day. 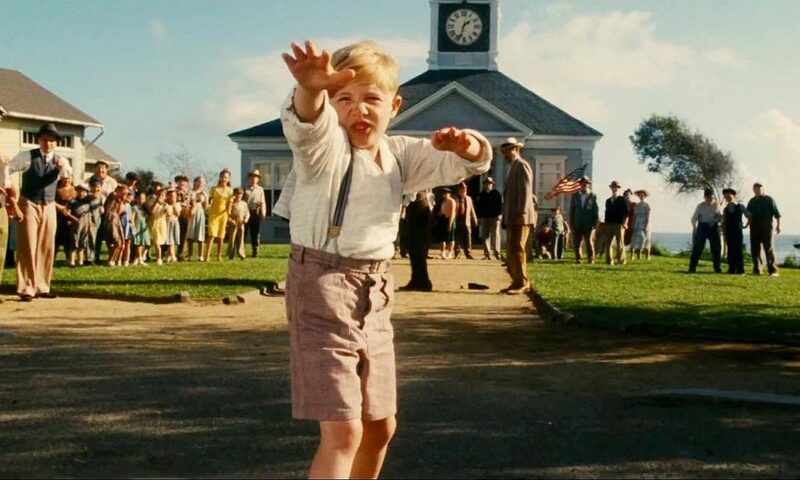 It’s the first, and only one of the few, of the Coens’ movies to move so inexorably along a line of dread and inevitability, so much so that the brand it stamps on your memory is like the darkest, cruelest, and funniest of morality tales. Lesson: you can’t always get what you embezzle. 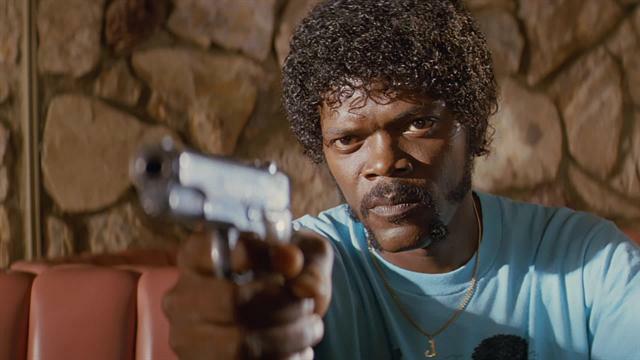 Quentin Tarantino, swaggering showman and showoff that he is, made his own anthology movie, shuffling three disparate plot strands into a single, twisting Möbius strip of a story, obliterating death itself as it moves with entertainingly self-conscious fits, then doubles-back into a final story of one man’s redemption. A great deal of the genius and re-watchability of the movie is in the continual laying bare of the banality within the lives of classic noir genre characters, and that banality crashing against random acts of intense and profane violence, and all of it doled out in a never-ending free flow of chatter-boxy, pop-culturally aware dialogue. Everyone feels like it’s their movie because the muscly newness of the mix is so shocking and close, and the overwhelming unpredictability of events nurtures such a level of audience participation that you feel like you’re there – waiting for Travolta to plunge the needle in, having the barrel of a gun and a passage from Ezekiel shoved in your face, being strapped in a chair with a ball-gag in your mouth. You feel this movie in your guts. 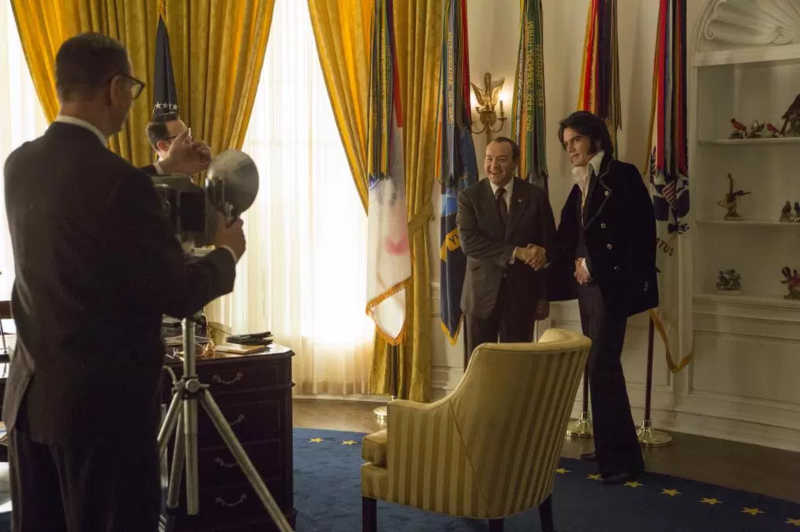 Nearly every scene has become an indelible reference for filmmakers ever since, even as nearly every scene is itself a reference to this filmmaker’s teeming brain-trove of influences. It might not ultimately have much on its mind but being the ultimate movie for movie lovers, and it may use its characters’ personal plights as mere springboards for eventual disturbing acts of violence, but that doesn’t make those plights any less fascinating. Chief among them is the ongoing spiritual quest of Jules, who comes to believe he’s been rescued from certain death by God Himself – and he has what can only be called a conversion experience over a muffin and coffee. The movie is finally a true collaboration of the sacred and the profane. 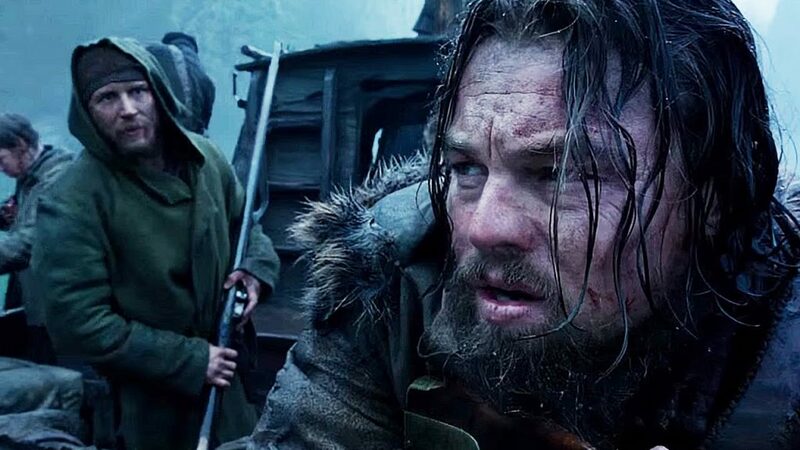 In this episode, Tyler and Robert discuss Alejandro G. Iñárritu’s The Revenant and Sean Penn’s The Crossing Guard. In this episode, Tyler and Robert discuss Peter Jackson’s Lord of the Rings trilogy. 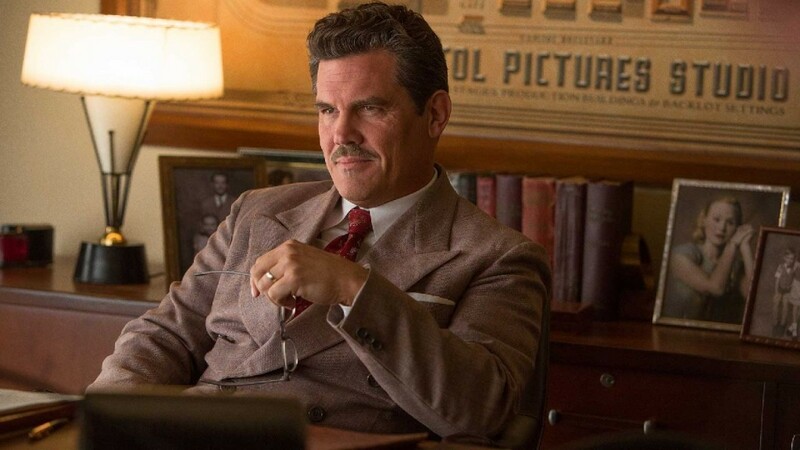 In this episode, Tyler and Robert discuss the Coen Brothers’ Hail, Caesar! and Preston Sturges’ Sullivan’s Travels. 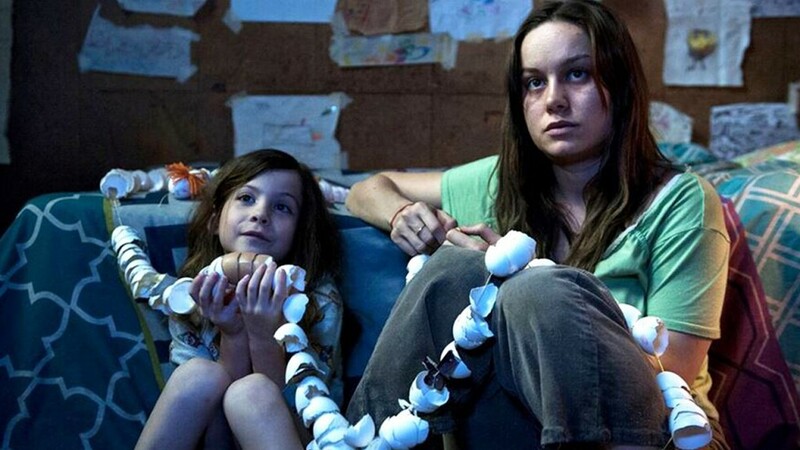 In this episode, Tyler and Robert discuss Lenny Abrahamson’s Room and Ted Kotcheff’s First Blood. 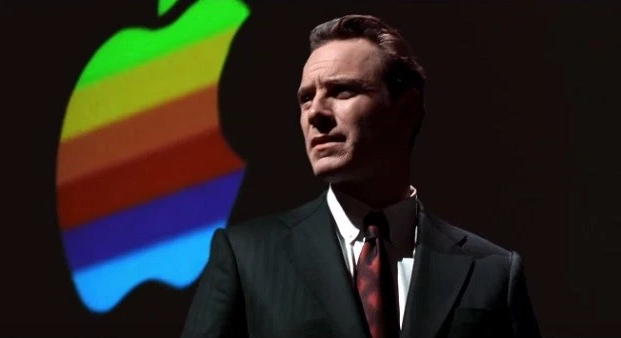 In this episode, Tyler and Robert discuss Danny Boyle’s Steve Jobs and Franklin J. Schaffner’s Patton.